GIS4BUSINESS assisted Entran, an environment and transport consultancy, with several site selection projects for local authority customers, including finding the optimal location for refuse sites based on the expected service areas for refuse vehicles. Generation of service areas from prospective locations based on drive-times from GPS-based average speeds for HGVs. Production of driving distances from prospective sites using Ordnance Survey road network data. Presentation of the results of the service area analysis using professional quality high-resolution PDF maps combining the relevant service areas, driving distances and boundary datasets on an Ordnance Survey background. Creation of various output reports in excel format from the results of spatial analysis. Output of the results of service area analysis in shapefile format. 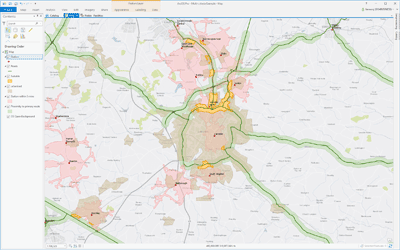 The maps and reports produced by GIS4BUSINESS allowed Entran to better interpret and visualise information regarding the proposed sites and present the analysis to their local authority customers, ultimately enabling better decision making. 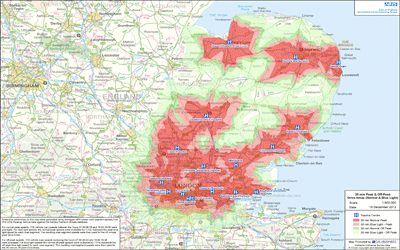 GIS4BUSINESS were asked to undertake drive-time analysis and produce maps and associated population data for several NHS trauma centres in the East of England. 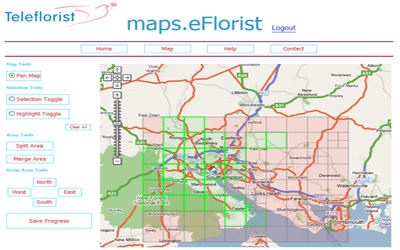 GIS4BUSINESS worked closely with eflorist to design and develop a web-based mapping application to enable franchised retail outlets to map their delivery areas, postcodes and rates and to gain greater insight into their network. 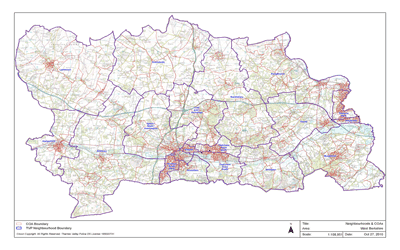 GIS4BUSINESS provided consultancy and development expertise to Thames Valley Police during implementation of mapping and address data updates to internal systems and assisted with improvements to crime analysis, geo-coding and mapping. Solving network related problems can be complex, such as finding the fastest route between locations, calculating service areas or tracing connected assets. GIS provides answers to these network analysis problems and can communicate the results in a compelling way through maps. Many geographical business decisions are based on multiple factors. For example, the optimum location for a new site may depend on the density of customers, distance from competitors and the current land use. One of the key benefits of GIS is their ability to integrate, analyse and overlay different spatial datasets to facilitate informed decision-making. 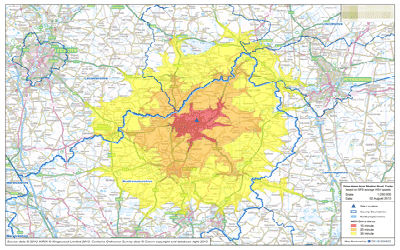 Using specialist GIS software, GIS4BUSINESS can produce well-designed, professional maps and reports. We can produce single site plan, a whole series of maps, or a report that provides answers to complex spatial problems. We can also deliver maps and reports in digital format or as an interactive web map.